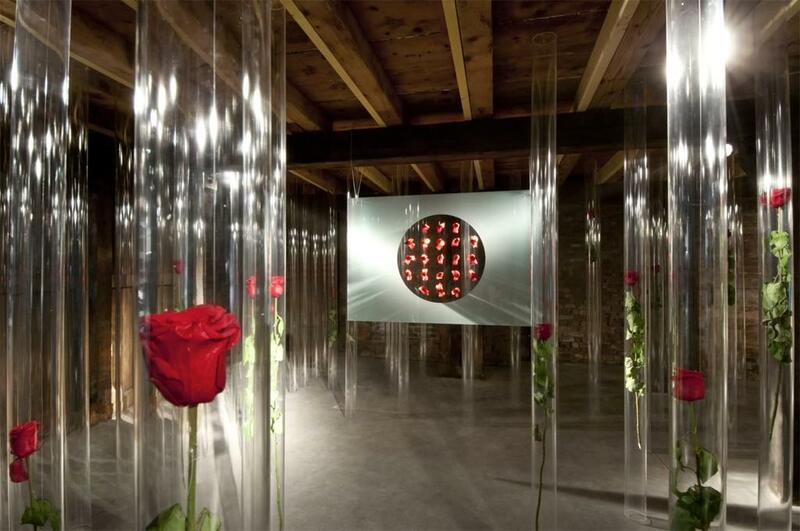 Materials: acrylic, glass, roses, fabric. Dimensions: m 6,4 x 7,9 x h 2,2. 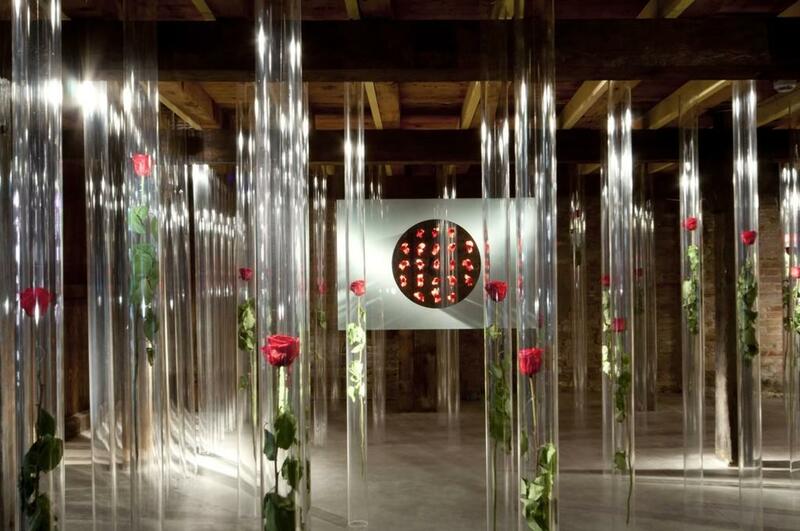 In a controversial and debatable edition of the Art Biennale of Venice, chaotic and consequently at odds with the appreciation of the content, Dompè ensnares and annihilates the visitors with the simple purity of an image. Poetic and visionary images of a Japan that are in sharp contrast with the recent news of technological tragedy and defeat. 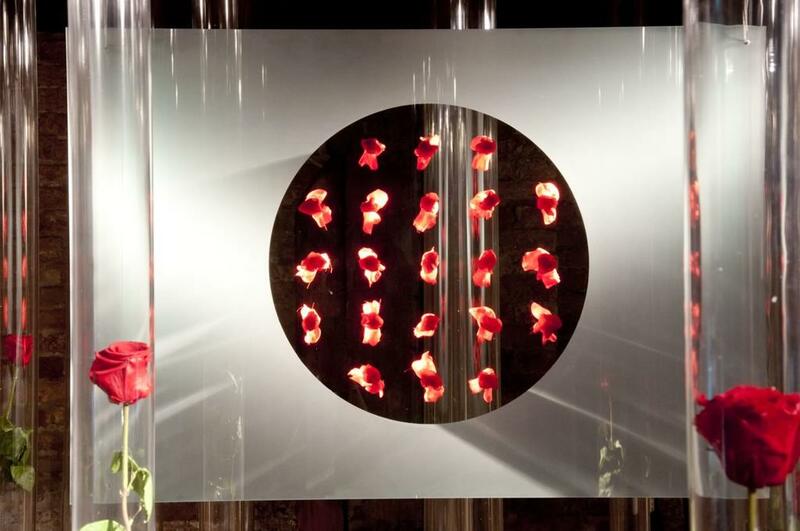 “I spent a long period in Japan, thanks initially to a scholarship from the Japan Foundation, creating shows, one personal one in Tokyo and a permanent work in environmental park. I discovered the intimate and true essence of this magical country. The ancestral spirituality of its people is not comparable to the harsh images from the nuclear power plant at Fukushima. I dedicate this work to the technicians who with total self-abnegation, worked to stop the flow of poison, even though they were aware of the unavoidable nuclear contamination: unknown heroes”. 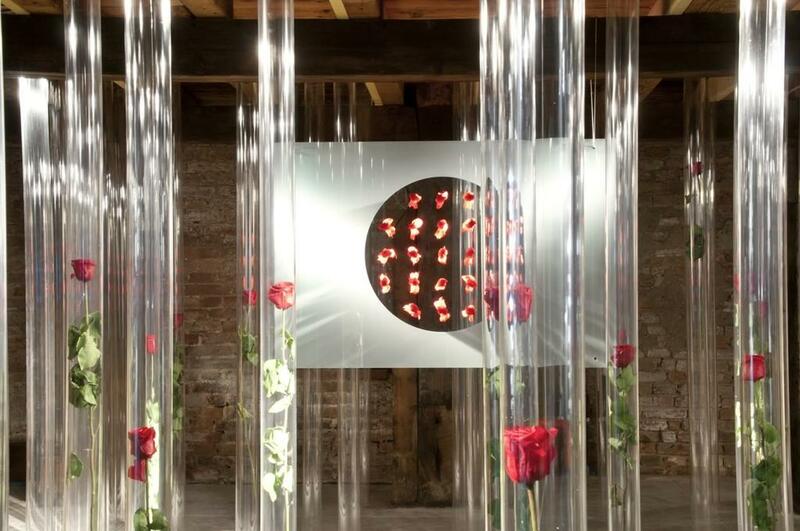 The artist captures the iconographic essence of the flowers: fresh red roses “treated” to last in time, the vivacity of the reflections of precious light, knowingly created with plexiglass, evoking nature as a cultural matrix of a millenary tradition. Disciple of a religion of the poetry of the image, Dompè rejects the realistic harshness and impiety of the dominant art forms, seeking refuge in a dream like emotional message: expressing the motions of the soul by force and lightness, expertly mixed, of a vision, giving free rein to the emotions.